With one eye on the prisoners’ voting debate later this week, there are some interesting figures from the Ministry of Justice this morning. The Government has forked out almost £6.4 million to convicts in the last three years to settle litigation cases. An answer to a written parliamentary question showed that £1,452,309 was paid to settle cases in 2007/08, £1,648,045 in 2008/09 and a whopping £3,257,892 in 2009/10. And these figures don’t even include the associated legal fees and compensation paid through the internal complaints procedures of prisons. 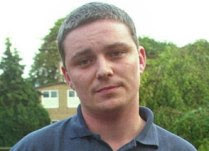 The case of Soham killer Ian Huntley springs to mind – last year he began suing the Government for up to £95,000 in damages after he was attacked in jail. But Huntley has nothing on those who will sue the Government if MPs decide on Thursday not to let prisoners vote in elections. After all, they have a European Court ruling behind them – something for MPs who are saddling their high horses ready for Thursday to think about. 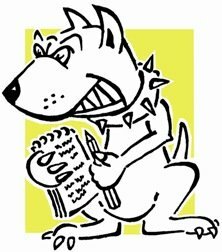 The Government have made a dog’s dinner of this one – if they thought it was going to be tricky to sell to Tory MPs they should have done what Labour did and kicked it into the long grass (again). But once they started down the course of compliance with the European Court they should have had the conviction to see it through with a whipped vote and avoid what is going to a politically damaging and messy show on Thursday.